The advanced industrial and information tasks requires controlling and insurance of the predefined quality of data and processes. GeoData Services supports customers with quality controlling and management according to international standards to create, manage and update their high value databases. We also examine the consistency and logical frame of data handling processes. Controlling increases the life cycle of the databases, its actuality and meets the requirements of documentation and guarantee. Our company gives support and advices on long term commitment in quality management. With quality controlling our company identify discrepancies and possible or actual losses. During the quality examination we set the expected production and quality parameters. 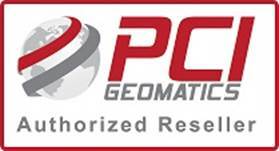 We measure the difference of planned, documented and actual data using geoinformation tools. We identify measuring and controlling points in the complete procedure with customer’s consent. The content of the quality controlling is outlined in a quality assurance (QA) plan, which includes the acceptance values, controlling points in the process, quality samples, necessary software application, processmanagement, transfer of results, and other important features. GeoData Services offers monitoring for large volume database processes with multiple object types involved. Monitoring covers the whole process detailing the cost factors, the required database quality, documentation, and time limits. The homepage is under development, if you have any comments, please write to us (geoadat@geoadat.hu)! Thank you! GeoAdat Szolgáltató és Informatikai Kft.